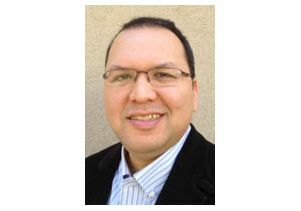 Keith Camacho, associate professor in the Asian American Studies Department at UCLA, has been named senior editor of Amerasia Journal. He has previously served as guest editor of the interdisciplinary academic journal, which is based at UCLA. Camacho is an award-winning scholar, teacher and active member of the UCLA community. His book, "Cultures of Commemoration: The Politics of War, Memory, and History in the Mariana Islands" (University of Hawaii Press, 2011), was awarded the Masayoshi Ohira Memorial Prize in Japan and the Governor's Humanities Award for Research and Publication in the Humanities in the Northern Mariana Islands. Honored extensively within his field, he is the recipient of the C. Doris and Toshio Hoshide Distinguished Teaching Prize in Asian American Studies and is the inaugural winner of the Don T. Nakanishi Award for Outstanding Engaged Scholarship in Asian American and Pacific Islander Studies at UCLA. Currently, Camacho is a Charles A. Ryskamp Research Fellow with the American Council of Learned Societies and the Andrew W. Mellon Foundation. He received his B.A. from the University of Guam, a master's degree in Pacific Islands studies and a Ph.D. in history (with distinction) from the University of Hawaii at Manoa.